Q1: Read the introduction and study source 2. Why were local men were so unhappy with Richard Arkwright in 1779? A1: In 1771 Richard Arkwright opened a large factory next to the River Derwent in Cromford, Derbyshire, to house several of his Spinning-Frame machines. Later he purchased several large weaving machines. This created unemployment in the area and The Derby Mercury (source 2) reported in October, 1779, that around 5,000 local men planned to destroy Arkwright's factory. Q2: Compare sources 5 and 6. Give possible reasons why these accounts are different. 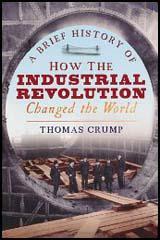 A2: The two historians disagree about the name of the man who is said to have given his name to the Luddite movement. Warner calls him Ned Ludd while Chamberlain believes it was Ned Ludlam. Chamberlain claims Ludlam smashed his own machine whereas Warner claims that the man broke machines belonging to others. There is a complete lack of reliable evidence on the start of the Luddite movement. There are several different stories in existence but it is not possible for historians to check the accuracy of these stories. However, the earliest reference to this story states that his name was Ned Ludlam and that he smashed his father's stocking frame in 1811 after a family argument. Q3: Do you think source 1 is a reliable source of information on the person who wrote source 4? A3: As source 4 points out, Ned Ludd was a name given to anyone who broke machines. There was therefore no one Ned Ludd. The man who signed the letter (source 4) was one of many Ned Ludds. Therefore, source 1 is not a reliable source of information on the person who wrote source 4. Q4: Describe and explain the views being expressed about machines in sources 4 and 12. A4: The person who wrote source 4 believed that the new steam-powered machines posed a serious threat to the future of people who worked and owned hand machines. Supporters of the Luddites feared that the introduction of these new machines would result in mass unemployment and lower wages. This man believed that the solution to this problem was to destroy these machines. William King (source 12) also believed that there was a danger that these new machines would lead to unemployment and a fall in wages. However, King disagreed with the tactics of the Luddites. Instead, he wanted working people to join together and form co-operatives. He argued that if members of the co-operative movement combined their financial resources they would be able to buy these steam-powered machines for themselves. Q5: In February 1812 the government of Spencer Perceval proposed that machine-breaking should become a capital offence. Did Lord Byron (source 8) agree with the government over this issue. A5: Lord Byron disagreed with the government's decision to make machine-breaking a capital offence (the death penalty). He believed that these men were only taking this action because of their "unparalleled distress". He believed that the death-penalty punishment should be the "last" rather than the "first" measure to be used against the Luddites. Q6: Why was John Edward Taylor (source 11) critical of the authorities about the way that dealt with the actions of the Luddites in Westhoughton? A6: John Edward Taylor points out that the authorities discovered that the Luddites planned to set fire to the Westhoughton factory sixteen days before it happened. According to Taylor this "renders it not a matter of presumption, but of absolute certainty, that that alarming outrage might have been prevented, if to prevent it had been the inclination of either the spies or their employers". By John Simkin (john@spartacus-educational.com) © September 1997 (updated December 2016).